Dr Nina O’Hanlon, Post-doctoral Research Assistant, the Environmental Research Institute, North Highland College UHI, Scotland. Nina O’Hanlon is a seabird ecologist (post-doctoral research assistant) with a particular interest in seabird ecology and conservation. 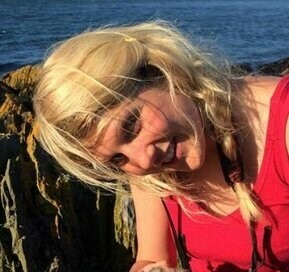 She is currently a post-doctoral researcher at the Environmental Research Institute (University of the Highlands and Islands), based in Thurso, Scotland, where she is looking at the impacts of plastic and oil pollution on seabirds in the Northeast Atlantic. As part of Circular Ocean, Nina was involved in research to establish what we currently know about seabirds and marine plastic in Northern Europe and the Arctic region, highlighting knowledge gaps and recommendations for future research and monitoring. This work revealed that we know very little about nest incorporation of plastic by seabirds across this region, therefore this summer Nina, and hopefully many volunteers, will be collecting data on this issue across the UK.